Renaissance - The Affordable Sable. Quality sable is renowned for its colour holding ability and the new range has already been remarked upon by early users. 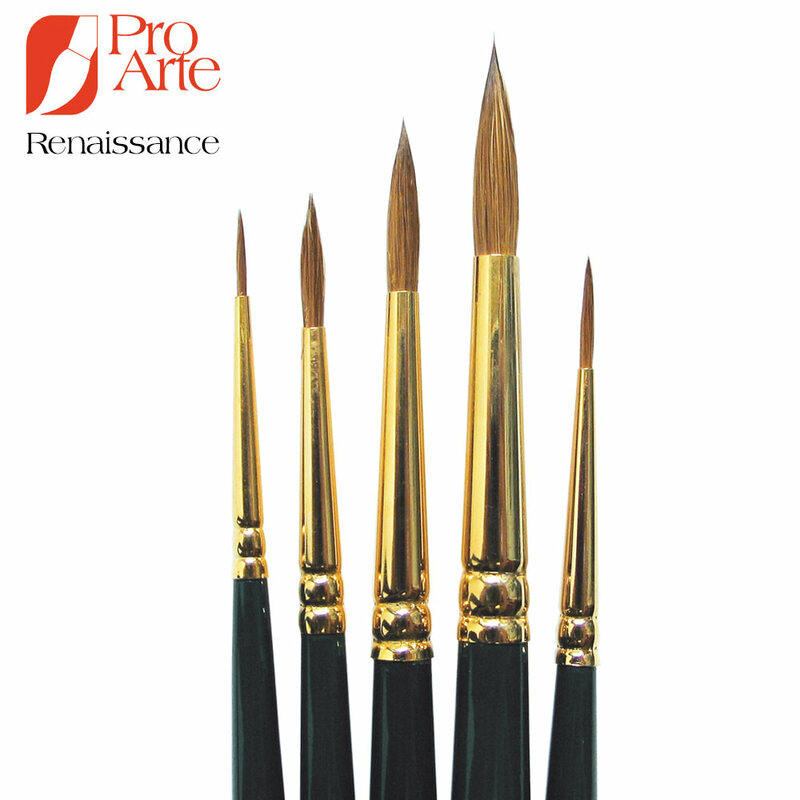 Renaissance features a generous filament of sable in gold plated ferrules. 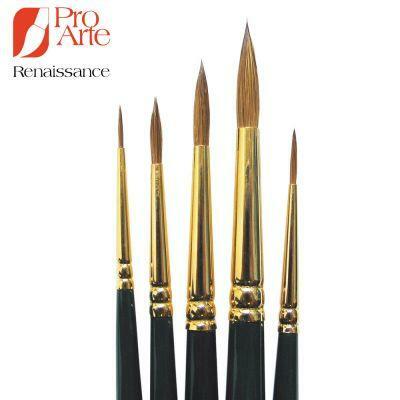 These are set in highly polished dark green handles which give the look and feel of a Pro Arte quality product. You will see a huge difference.